YOU MUST FILE A CHALLENGE TO YOUR WISCONSIN OWI/DWI/DUI WITHIN 10 DAYS OF ARREST, OR YOU WILL LOSE YOUR LICENSE WITHOUT A HEARING. 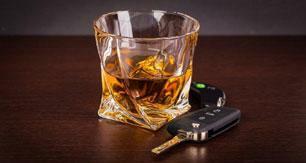 CONTACT A WISCONSIN OWI DWI DUI ATTORNEY IMMEDIATELY!! 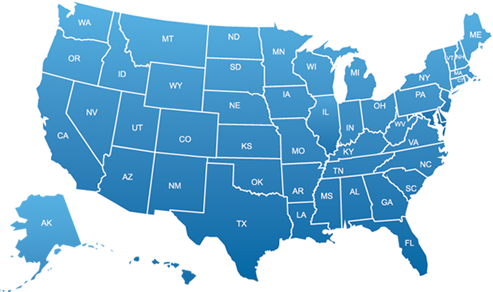 Find Wisconsin OWI DWI DUI Drunk Driving Attorneys Lawyers Here! 125.02 ALCOHOL BEVERAGES; Definitions: i.e. Underage Person, Alcohol Bev. 967.055 Prosecution of offenses; operation of a motor vehicle or motorboat; alcohol, intoxicant or drug. (a) The legislature intends to encourage the vigorous prosecution of offenses concerning the operation of motor vehicles by persons under the influence of an intoxicant, a controlled substance, a controlled substance analog or any combination of an intoxicant, controlled substance and controlled substance analog, under the influence of any other drug to a degree which renders him or her incapable of safely driving, or under the combined influence of an intoxicant and any other drug to a degree which renders him or her incapable of safely driving or having a prohibited alcohol concentration, as defined in s. 340.01 (46m), offenses concerning the operation of motor vehicles by persons with a detectable amount of a restricted controlled substance in his or her blood, and offenses concerning the operation of commercial motor vehicles by persons with an alcohol concentration of 0.04 or more. (b) The legislature intends to encourage the vigorous prosecution of offenses concerning the operation of motorboats by persons under the influence of an intoxicant, a controlled substance, a controlled substance analog or any combination of an intoxicant, controlled substance and controlled substance analog to a degree which renders him or her incapable of operating a motorboat safely, or under the combined influence of an intoxicant and any other drug to a degree which renders him or her incapable of operating a motorboat safely or having an alcohol concentration of 0.08 or more. (a) "Drug" has the meaning specified in s. 450.01 (10). 1. A controlled substance included in schedule I under ch. 961 other than a tetrahydrocannabinol. 2. A controlled substance analog, as defined in s. 961.01 (4m), of a controlled substance described in subd. 1. 3. Cocaine or any of its metabolites. (2) Dismissing or amending charge. (a) Notwithstanding s. 971.29, if the prosecutor seeks to dismiss or amend a charge under s. 346.63 (1) or (5) or a local ordinance in conformity therewith, or s. 346.63 (2) or (6) or 940.25, or s. 940.09 where the offense involved the use of a vehicle or an improper refusal under s. 343.305, the prosecutor shall apply to the court. The application shall state the reasons for the proposed amendment or dismissal. The court may approve the application only if the court finds that the proposed amendment or dismissal is consistent with the public's interest in deterring the operation of motor vehicles by persons who are under the influence of an intoxicant, a controlled substance, a controlled substance analog or any combination of an intoxicant, controlled substance and controlled substance analog, under the influence of any other drug to a degree which renders him or her incapable of safely driving, or under the combined influence of an intoxicant and any other drug to a degree which renders him or her incapable of safely driving, in deterring the operation of motor vehicles by persons with a detectable amount of a restricted controlled substance in his or her blood, or in deterring the operation of commercial motor vehicles by persons with an alcohol concentration of 0.04 or more. The court may not approve an application to amend the vehicle classification from a commercial motor vehicle to a noncommercial motor vehicle unless there is evidence in the record that the motor vehicle being operated by the defendant at the time of his or her arrest was not a commercial motor vehicle. (b) Notwithstanding s. 971.29, if the prosecutor seeks to dismiss or amend a charge under s. 30.681 (1) or a local ordinance in conformity therewith, a charge under s. 30.681 (2), a charge under s. 30.684 (5) or a local ordinance in conformity therewith or a charge under s. 940.09 or 940.25 if the offense involved the use of a motorboat, except a sailboat operating under sail alone, the prosecutor shall apply to the court. The application shall state the reasons for the proposed amendment or dismissal. The court may approve the application only if the court finds that the proposed amendment or dismissal is consistent with the public's interest in deterring the operation of motorboats by persons who are under the influence of an intoxicant, a controlled substance, a controlled substance analog or any combination of an intoxicant, controlled substance and controlled substance analog, under the influence of any other drug to a degree which renders him or her incapable of operating a motorboat safely, or under the combined influence of an intoxicant and any other drug to a degree which renders him or her incapable of operating a motorboat safely. (a) A violation of s. 346.63 (1) or (5) or a local ordinance in conformity therewith. (b) A violation of s. 346.63 (2) or (6). (c) A violation of s. 940.09 if the offense involved the use of a vehicle. (d) A violation of s. 940.25. History: 1981 c. 20, 184; 1983 a. 459; 1985 a. 146 s. 8; 1985 a. 331, 337; 1987 a. 3, 101; 1989 a. 105; 1991 a. 277; 1995 a. 113, 436, 448; 1997 a. 252; 2003 a. 30, 97. NOTE: For legislative intent see chapter 20, laws of 1981, section 2051 (13). Sub. (2) does not conflict with the separation of powers doctrine and is constitutional. State v. Dums, 149 Wis. 2d 314, 440 N.W.2d 814 (Ct. App. 1989). 967.057 Dismissals for contributions to certain organizations and agencies. A prosecutor may not, in exchange for a person's payment of a contribution to an organization or agency specified in s. 973.06 (1) (f) 1., dismiss or amend a charge alleging a criminal offense. History: 1999 a. 58, 186. 967.06 Determination of indigency; appointment of counsel; preparation of record. As soon as practicable after a person has been detained or arrested in connection with any offense which is punishable by incarceration, or in connection with any civil commitment proceeding, or in any other situation in which a person is entitled to counsel regardless of ability to pay under the constitution or laws of the United States or this state, the person shall be informed of his or her right to counsel. Persons who indicate at any time that they wish to be represented by a lawyer, and who claim that they are not able to pay in full for a lawyer's services, shall immediately be permitted to contact the authority for indigency determinations specified under s. 977.07 (1). The authority for indigency determination in each county shall have daily telephone access to the county jail in order to identify all persons who are being held in the jail. The jail personnel shall provide by phone information requested by the authority. In any case in which the state public defender provides representation to an indigent person, the public defender may request that the applicable court reporter or clerk of circuit court prepare and transmit any transcript or court record. The request shall be complied with. The state public defender shall, from the appropriation under s. 20.550 (1) (f), compensate the court reporter or clerk of circuit court for the cost of preparing, handling, duplicating and mailing the documents. History: Sup. Ct. Order, 71 Wis. 2d ix (1975); 1977 c. 29, 418; 1979 c. 356; 1981 c. 20; 1983 a. 377; 1993 a. 16. The defendant was entitled to court-appointed counsel in a state-initiated civil contempt action. Brotzman v. Brotzman, 91 Wis. 2d 335, 283 N.W.2d 600 (Ct. App. 1979). This section gives the public defender the right to receive juvenile records of indigent clients notwithstanding s. 48.396 (2). State ex rel. S. M. O. 110 Wis. 2d 447, 329 N.W.2d 275 (Ct. App. 1982). If the court is put on notice that the accused has a language difficulty, the court must make a factual determination whether an interpreter is necessary; if so, the accused must be made aware of the right to an interpreter, at public cost if the accused is indigent. Waiver of the right must be made voluntarily in open court on the record. State v. Neave, 117 Wis. 2d 359, 344 N.W.2d 181 (1984). (1m) "Adverse weather lamp" means a lamp specially designed to provide road illumination under conditions of rain, snow, dust or fog. (1q) "Alcohol" means any substance containing any form of alcohol including, but not limited to, ethanol, methanol, propanol and isopropanol. (a) The number of grams of alcohol per 100 milliliters of a person's blood. (b) The number of grams of alcohol per 210 liters of a person's breath. (2) "Alley" means every highway within the corporate limits of a city, village or town primarily intended to provide access to the rear of property fronting upon another highway and not for the use of through traffic. (2g) "All-terrain vehicle" means an engine-driven device which has a net weight of 900 pounds or less, which has a width of 48 inches or less, which is equipped with a seat designed to be straddled by the operator and which is designed to travel on 3 or more low-pressure tires. A low-pressure tire is a tire which has a minimum width of 6 inches, which is designed to be mounted on a rim with a maximum diameter of 12 inches and which is designed to be inflated with an operating pressure not to exceed 6 pounds per square inch as recommended by the manufacturer. (2m) "Articulated bus" means a bus constructed in 2 sections and supported by 3 or more axles with the sections of the vehicle hinged in the horizontal plane and so designed that passengers may move freely from either section to the other. (2q) "Auction company" means any person who, for compensation, takes possession, whether on consignment or in the form of a bailment or any other arrangement, of a motor vehicle owned by a motor vehicle dealer and offers it for sale at an auction that is open only to motor vehicle dealers or wholesalers. (a) Police vehicles, whether publicly or privately owned, including bicycles being operated by law enforcement officers. (b) Conservation wardens' vehicles or foresters' trucks, whether publicly or privately owned. (c) Vehicles of a fire department or fire patrol. (d) Privately owned motor vehicles being used by deputy state fire marshals or by personnel of a full-time or part-time fire department or by members of a volunteer fire department while en route to a fire or on an emergency call pursuant to orders of their chief or other commanding officer. 1. Designated or authorized by an ambulance service or rescue squad chief in writing annually. 2. Used by an emergency medical technician licensed under s. 146.50 or an ambulance driver or first responder authorized by the chief of an ambulance service or rescue squad. (e) Emergency vehicles of municipal or county departments or public service corporations that are designated or authorized by the local authorities to be authorized emergency vehicles. (f) Emergency vehicles of state departments that are designated or authorized by the heads of those departments to be authorized emergency vehicles. (g) Publicly owned ambulances that are designated or authorized by local authorities to be authorized emergency vehicles. (h) An emergency vehicle authorized by the county board of supervisors of any county for use by the county coroners or medical examiners for traveling to the scene of a fatal accident or a death and on any other occasions that are authorized under par. (e). (i) Privately owned ambulances that are operated by their owners or by their owners' agents and that are authorized in writing by the sheriff or others designated by the county board as emergency vehicles. The authorization is effective throughout the state until rescinded. The sheriff or others designated by the county board may designate any owner of ambulances usually kept in the county to operate those ambulances as authorized emergency vehicles. The written authorization shall at all times be carried on each ambulance used for emergency purposes. The sheriff shall keep a file of authorizations made under this paragraph in the sheriff's office for public inspection, and all other persons permitted to issue authorizations under this paragraph shall file a copy of all authorizations issued with the sheriff. (j) Vehicles operated by federal, state or local authorities for the purpose of bomb and explosive or incendiary ordnance disposal. (a) Type 1 is a motor vehicle designed and used primarily for carrying persons but which does not come within the definition of a motor bus, motorcycle, moped or motor bicycle. (b) Type 2 is a motor vehicle capable of speeds in excess of 30 miles per hour on a dry, level, hard surface with no wind, designed and built to have at least 3 wheels in contact with the ground, a power source as an integral part of the vehicle, a curb weight of at least 1,500 pounds, and a passenger and operator area with sides permanently enclosed with rigid construction and a top which may be convertible. (4e) "Automobile haulaway" means a combination of 2 vehicles specially designed, constructed and used to transport operational motor vehicles. (5) "Bicycle" means every vehicle propelled by the feet acting upon pedals and having wheels any 2 of which are not less than 14 inches in diameter. (5e) "Bicycle lane" means that portion of a roadway set aside by the governing body of any city, town, village, or county for the exclusive use of bicycles, electric personal assistive mobility devices, or other modes of travel where permitted under s. 349.23 (2) (a), and so designated by appropriate signs and markings.